From now on your customers will receive their online purchases when it suits them. DHL On Demand Delivery (ODD) offers recipients various handy and flexible delivery options. In other words, your customers can choose when and where DHL Express delivers the parcel. DHL Express thereby ensures that the delivery is as smooth as the online purchase. Proactive status notifications by SMS or e-mail about dispatched shipments with the anticipated delivery date. Being able to decide how, where and when the delivery takes place at the time that suits them best. What does DHL Express offer? ODD from DHL Express offers the recipient flexibility. Choose where and when your shipment is delivered. With ODD you as the sender choose to keep your customers proactively informed about the journey their shipment is making. The recipient decides online what delivery option suits them. ODD from DHL Express meets the flexible needs within the e-commerce market. With just a couple of clicks of the mouse your customer can decide where and when they want to receive the shipment. DHL Express is the only service provider offering this service on a large scale. 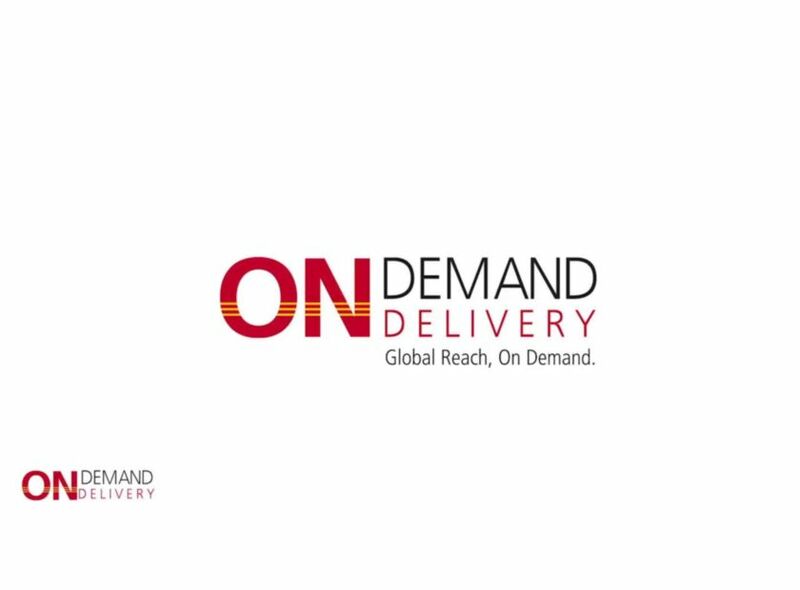 On Demand Delivery is available in more than 45 languages in 100 countries, which covers the majority of global trade and online retail activities. ODD helps you to differentiate your webshop from the competition, increases online conversion and improves your customers’ experience. Who is On Demand Delivery aimed at? ODD is suitable for both individuals and businesses that work from home and receive parcels at home. This might involve a home office or practice, but also Service Engineers who can go out on the road with repair materials as soon as they’re delivered. Satisfied recipients? Use DHL On Demand Delivery! Once your shipment has been handed over to DHL Express, the recipient will immediately receive an SMS and/or e-mail message and be informed about the anticipated delivery date. The message contains a link to the ODD system, which can be easily accessed from any smartphone, tablet or PC. Using ODD, recipients can decide for themselves how, where and when the delivery will take place. On the day of delivery, the recipient receives another SMS and/or e-mail message so that they know precisely when they can expect the parcel. Unless informed otherwise, we will simply deliver to the original address. Our SMS and e-mail messages mean that DHL Express ensures that the recipient is always aware when their parcel will be delivered. Flexible delivery options also mean fewer returns to you as the sender. No more waiting at home unnecessarily Your customer collects their parcel from a DHL ServicePoint nearby. Your customer selects a delivery date that best suits them. Gives DHL permission to deliver the shipment without signature in the absence of your customer. If your customer is on holiday, we can hold the shipment for you for up to 30 calendar days.